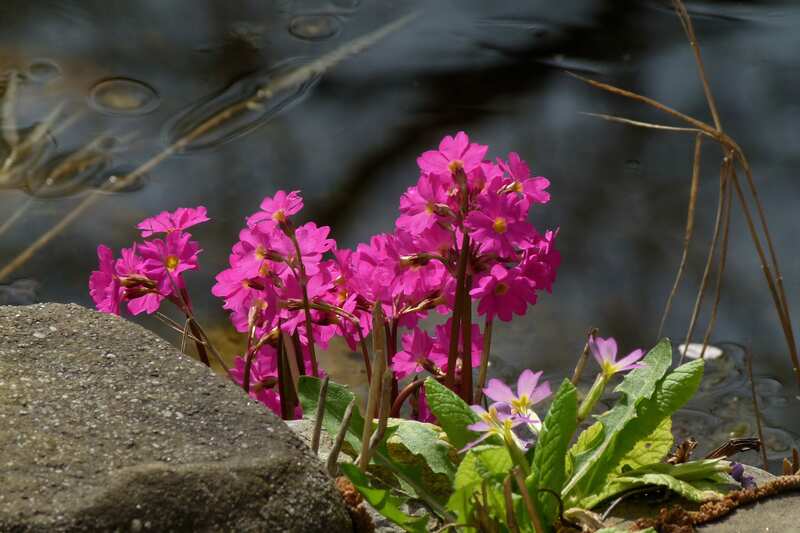 The Himalayan Meadow Primrose has lovely spring flowers, all in shades of pink, and is very early to flower, often repeat flowering in wet summers. It tends to flower before the leaves emerge in early Spring and grows best in a cool and damp place. The crown gets very large and benefits from being divided every few years. The leaves are bronze when they first emerge in spring and turn green as summer progresses. An easy plant for the edge of a pond or a waterside position. Divide every two or three years after flowering to maintain vigour. Enjoys a humus rich soil.